For the last couple of years I’ve written a short list of events which I have entitled “The Events of that particular year”. Before January 2016 disappears I think it’s not too late to look back to a cracking year for events. “The Events of…” is of course a pretty meaningless phrase but these are THE EVENTS that got my #EventProfs juices running and my organiser goosebumps all tingly. As usual there are five events. All of them – in one way or the other – point to where I would like my industry to be heading: sustainable, interactive, innovative, value added and successful. There’s a chunk of best practice which every #EventProf can glean from these events and I encourage you to follow the links and have a good look at some brilliant (and one not so brilliant) event. 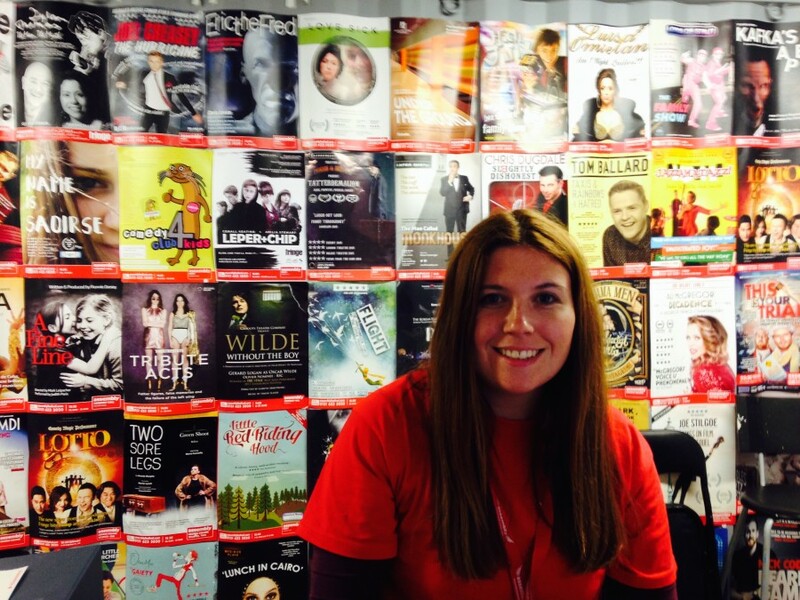 The Edinburgh Festival is really eight festivals rolled into one. Together they make the largest arts festival in the World. Despite its size it is a fine example of different organisations working together to create one MASSIVE and MASSIVELY successful event. A large part of the event industry is moving towards these huge, all encompassing grand events and there seems to be one for each sector: think Web Summit, Money 2020 or Mobile World Congress. If you are pondering how you can turn your small sector event into one of these then you will have to get ready to develop partnerships. I can’t find a better example of a great partnership approach as developed over the years by the Edinburgh Festival. Every vast event creates an ecosystem that, when everyone works together, adds to the grand occasion. Working together to create these ecosystems will make the industry much stronger. The other reason the Edinburgh Festival makes my list is because of the role that the beautiful City of Edinburgh plays; it has the starring role. It is an absolute tragedy when large events head to wonderful cities and do not take full cultural advantage of the host city. The Edinburgh Festival is nothing without the city. And the city is nothing without the people! This Annual General Meeting is so good that knowing you can attend is almost reason enough to invest in the company! This is a wonderful and to be honest a very humble example for #EventProfs. 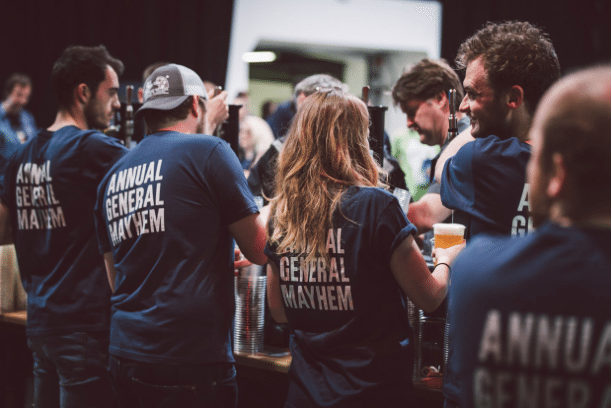 The AGM redefined and delivered……….by people who make beer. Judging by this event if you want to find an organiser, perhaps the best place to look is, contrary to popular belief, in a brewery! Have a look at some of the shots from the event. This demonstrates to event professionals and non event professionals that even the most boring of meetings (AGMs are notoriously boring) can be engaging, innovative and creative hubs. And Brew Dog assume me that the success of this meeting is not just down to the beer! Brew Dog reinventing not just beer but the AGM! 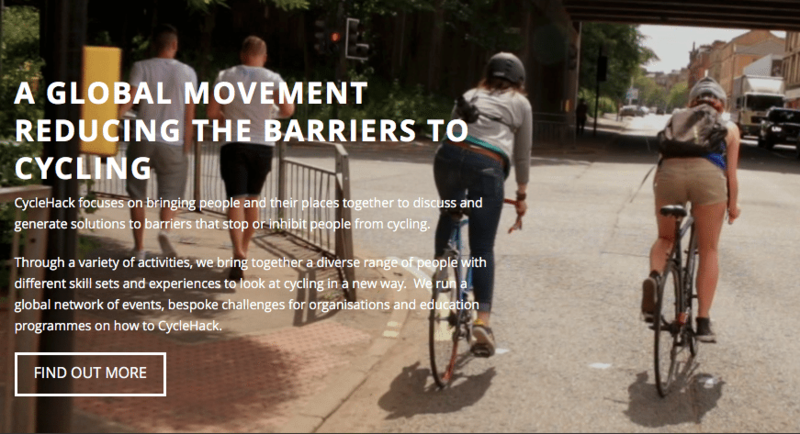 Cycle Hack was born in 2014 when some sustainable minded cyclists decided to make a difference to the cycling environment in Glasgow. The event quickly became global with similar events held the same weekend in Melbourne and Beirut. The following year events took place in 25 cities. This year they look ahead to doubling that. It makes my list for so many reasons. Firstly it has a very sustainable message and that has to be the future direction for our events. It is also a wonderful example of the power of live communications to deliver vibrancy to a brand. And finally the events produce value, real value with the goal of every Cycle Hack to create open source “hacks” that can be uploaded for use by the “cycle hack” community. And beyond. A truly inspirational event. Get involved! These types of mad paint throwing events have become very popular over the last few years. I become aware of them one day strolling along Barceloneta beach. The further I walked the number of teenagers covered in colour paint or powder increased. Now Barcelona is a funky city so for a while I didn’t think much of the spectacle. However when an older gentleman passed me who looked like he had been on the sidelines when a rainbow burst I thought I have to find out what this is all about? The biggest of these events fall under the The Holi One brand, a series of festivals run by UK based company Big Cat Group. These events are based on the Hindu Holi Festival which dates back to the 4th Century. 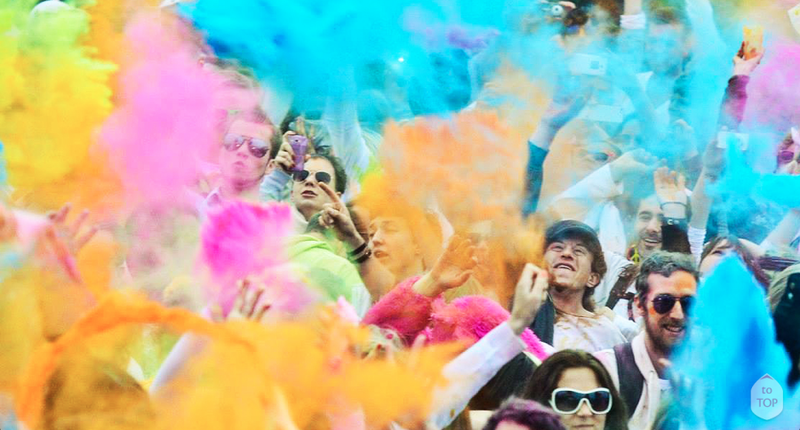 Under the “Holi One” brand it is a MASSIVE success with 50 or so events planned for 2016 and something for sure that is the envy of many events businesses. Now it makes my list not for the size and obvious success but for two other reasons. Firstly this is interaction at its peak: this event is nothing without the attendees and even less without the feeling of common joy it creates in that colourful crowd of strangers. And secondly it is “magpie creativity”. Now I often have discussion with other event creatives who consider creativity only to be true in the actual “creation of something new”. I on the other hand think that creativity includes the ability to repurpose something. Who would have thought that a 1700 year old religious festival could really be turned into one of the biggest event crazes of the last few years. Well, the Big Cat Group for one. That’s creativity. Now this makes the list for, I suppose, the wrong reasons. But her is a a valuable lesson to all #EventProfs. “OktoberFest London 2015 cancelled 20 minutes before first drinking session was due to begin” read the headlines. This event – again for the wrong reasons – made most of the papers in the UK. Reports suggested that the initial evening had proved to the venue Tobacco Dock in Wapping in East London, that the organisers just couldn’t cope with the expected numbers. The final decision to pull the event appeared to come from the venue NOT the organisers. So you can no doubt work out the lessons for our industry. But what I want to highlight is how incredible important a role the venue plays in any event. We are often guilty of taking our venues for granted, thinking that they will somehow manage to cope with anything. I had never until I looked into this event, considered asking the venue about their rights to cancel my event! Here’s evidence that venues mean business and their reputation is much, much larger than your event or your ego. In 2016 will we learn the lessons, good and bad?